How Many Wireless Zones on a Lyric Controller? 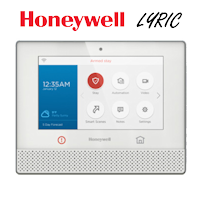 The Honeywell Lyric controller has the ability to utilize up to 128 wireless zones including both 5800 and SiX Series sensors. 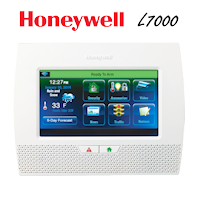 As a common question has been brought to our attention Honeywell SiXSIREN's are programmed as a zone themselves so you may have as many sirens as there are zones left in your Lyric controller. In addition to the 128 wireless zone capability, the Lyric has room for 2 hardwired zones that can be programmed EOLR, normally closed or normally open these zones will take up zone number (1-2). *The Lyric controller will support SiX series Bi-directional devices such as the SiXFOB, SiXSmoke, and SiXSiren. 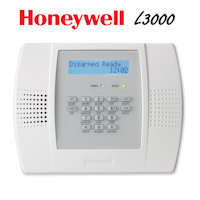 *5800 series Bi-Directional devices are not supported such as a 5800WAVE wireless siren, 5828 and 5828v wireless keypads. The Lyric controller has allotted 4 zones that are dedicated to the panic functions these will fall under zones (995-999). The panic features can be found by pushing and holding the sensitive button just under the touchscreen display. Once you have pushed this sensitive button you will have a few listed options to which panic feature you want to use for police fire or medical services. 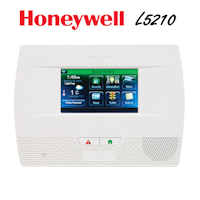 The Honeywell Lyric controller is able to program up to 32 wireless buttons or wireless key zones while using both 5800 and SiX Series transmitters. Key transmitters and sensors typically come with a four button configuration and each button essentially will take up 1 zone. So, if you are using either 5834-2/5834-4 or SiXFOBS you will be able to have 8 fully programmed for use with the Lyric controller. The Lyric controller has assigned specially labeled zones (850-857) for use with up to 8 SiX series wireless keypads. Lastly, the Honeywell Lyric controller had dedicated 12 temperature zones that can be manipulated for either high or low activation points.